A while ago I wrote an article on Platinum’s fantastic new MR16 LED color changing bulbs. 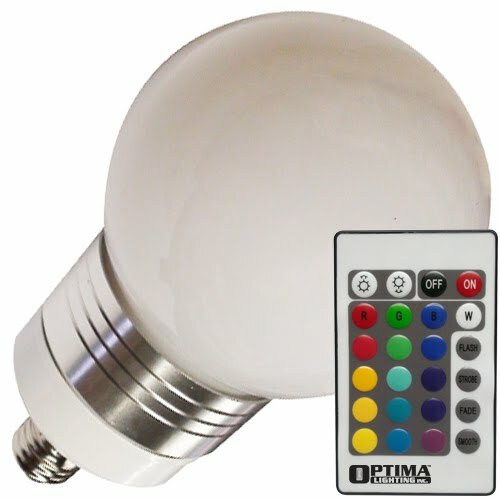 In this article I am going to introduce you to another of Platinum’s RGB LED color changing bulb. Platinum’s Globe RGB LED E27 bulb is an exciting offering. This 9w bulb is rated at 30,000hrs and is guaranteed to effortlessly add color to any room. Just screw the bulb’s standard base into any socket that accepts them and start to see the light. Platinum’s bulb cannot be beat in decorative lighting and display capacities. Platinum’s RGB globe is ideal for marquees where scrolling colors are ideal for attracting people’s attention. Another great application for Platinum’s globe would be for theatre foot lighting, where these color changing globes could complement the existing stage lighting as well as the ambiance before, during, and after a performance. Like Platinum’s MR16 LED RGB color changers, the RGB LED Globe color changers come with a remote control. The remote control can trigger dimming, strobing, color changing as well control the flashing and fading pre-programs. The remote control communicates with the globes by sending a RF signal to an infrared sensor mounted on the bulb. The Globe RGB LED E27 is another fantastic new member of Platinum’s RGB color changing LED bulb family. BulbAmerica stocks more products by Platinum as well as plenty more LED bulbs, so check us out today!